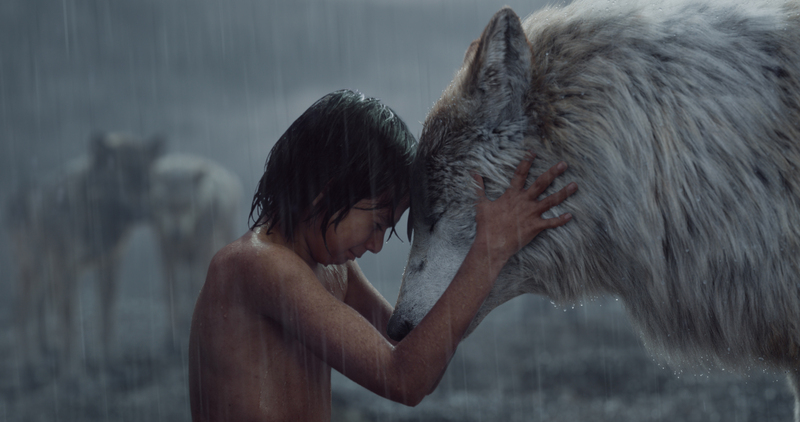 Home / Feature Slider / “The Jungle Book” – a magical, moving remake of a beloved classic. The story of Mowgli, the “man-cub” rescued by the panther, Bagheera, and raised by the wolves, has been one of Disney’s most beloved animated tales since its release in 1967. Based on Rudyard Kipling’s 1894 eponymous collection of stories, The Jungle Book has enchanted generations for decades. But, Disney’s 2016 re-imagining is a breathtaking creation that will fill both adult and child alike with wonder. The film begins with the child Mowgli (Neel Sethi) running through the jungle, climbing and jumping while being chased by something unknown. The Black Panther, Bagheera (given gravitas by the voice of Ben Kingsley) appears, chiding Mowgli for not being faster. Bagheera is trying to teach Mowgli the animal skills necessary to survive in the jungle, and avoid its many dangers. Mowgli’s family is a pack of wolves, who love him as one of their own, and he in turn espouses their values. “This is the law of the jungle, as old and as true as the sky; and the wolf that shall keep it may prosper, but the wolf that shall break it must die,” Mowgli recites along with them, before joining them in their howls. 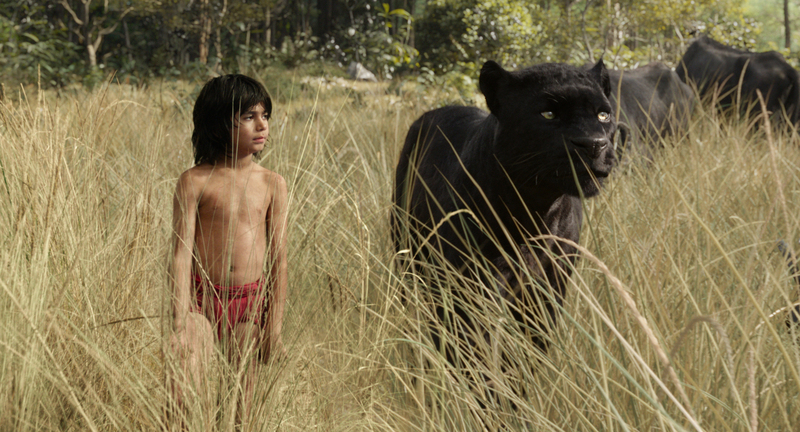 Mowgli (newcomer Neel Sethi) and Bagheera (voice of Ben Kingsley) embark on a captivating journey in The Jungle Book. 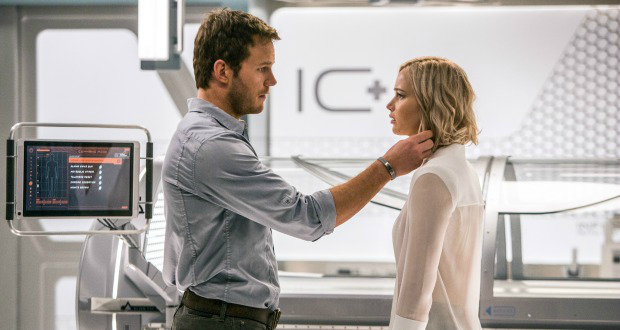 ©2015 Disney Enterprises. When a massive drought strikes, a water truce is called – an agreement by all animals not to harm one another so that everyone can drink from the remaining stream together. Hairs are raised though, and the peace disturbed when the cruel and fearsome king of the jungle, the tiger Shere Khan (Idriss Elba) arrives. Shere Khan, a hater of all humans, threatens Mowgli’s life, if the wolves don’t expel him from the jungle. Not willing to put his family in danger, Mowgli offers to leave. As the little boy makes his way through the jungle to a human village, he makes new friends, like the beloved bear, Baloo (Bill Murray). He faces new dangers, including the hypnotizing python, Kaa (Scarlett Johansson), and learns more about himself and man’s place in nature. This film is completely enchanting and one of Disney’s best productions in recent times. 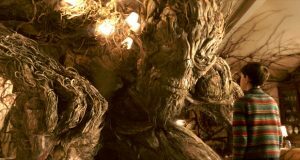 The live action/CGI animation is seamless and exquisite. The jungle and animals look real enough to touch, a good motivation to watch it in 3D or IMAX. Director Jon Favreau (who directed all three Iron Man movies) ensures this is an extraordinary mythical world, and the animation is pure perfection (the credits show hundreds of people worked on the visuals). At times the forest is dark and frightening, every sound both fascinating and ominous. At other times it is light and beautiful; a home where “the bees are buzzin’ in the tree” and “the bare necessities of life will come to you”, as the famous theme song says. 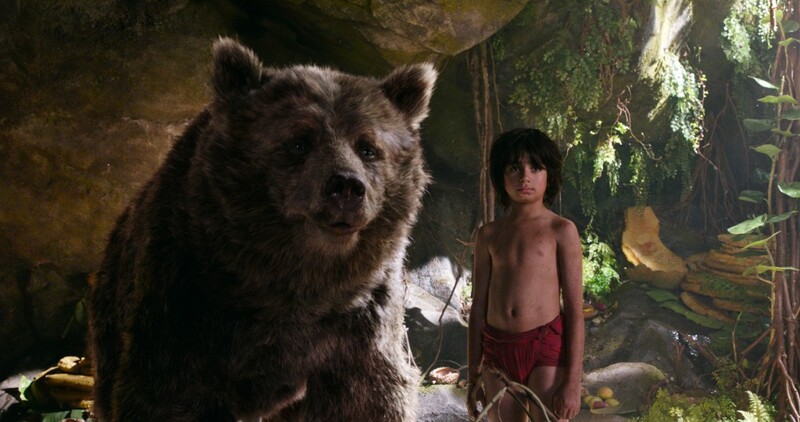 Mowgli (newcomer Neel Sethi) and Bagheera (voice of Ben Kingsley). ©2015 Disney Enterprises. For all the green screen young actor Neel Sethi would have encountered in filming, his interaction with his environment and the animal characters are flawless. Idriss Elba and Christopher Walken are the standout voices. Elba’s Shere Khan is not just a sadistic and ruthless killer; the tiger is a complex character who isn’t wrong in fearing and hating humans, after an encounter with a man left his face scarred. Walken’s King Louie and Bill Murray’s Baloo lend humour to the story. The film’s stellar cast of voices also includes Lupita Nyong’o as Raksha, Mowgli’s adoptive wolf mother, who isn’t willing to give him up, but has to consider the rest of her ‘children’. The Jungle Book features a world replete with life and hope, and yet, one that is constantly under the encroaching threat posed by humans, even the well-meaning ones; then as now. 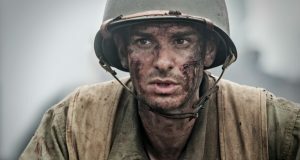 Both heartbreaking and inspiring, this is a story about courage, friendship and love, and will become the same kind of classic its predecessor was. Don’t miss it. Mowgli (Neel Sethi) and Raksha (voiced by Lupita Nyong’o). ©2015 Disney Enterprises. Previous: [LISTEN] Interview with Paige Nick on her scrumptious novel, “Death by Carbs”. Next: A salivating French affair at Melrose Arch.